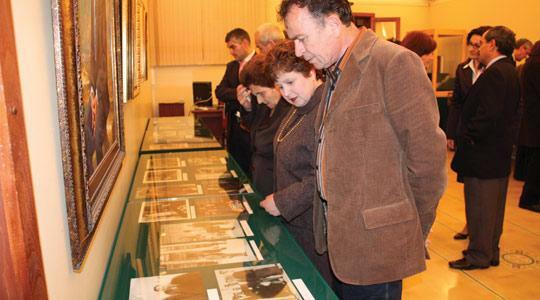 An exhibition marking the 100th anniversary of the birth of Gozitan poet Ġorġ Pisani was opened at the Exhibition Hall, St Francis Square, Victoria. The exhibition features original manuscripts, printed works, correspondence, photographs, and other memorabilia. Of particular interest is the section dedicated to Pisani's contribution during World War II. Another section deals with the correspondence Pisani shared with people who had helped to shape the nation's civil, literary and political history, such as Dun Karm, Karmenu Vassallo, Anton Buttigieg, Fr. H. Born, Ġorġ Zammit, Ġużé Aquilina, Ġużé Chetcuti, Ninu Cremona, Agatha Barbara and Archbishop Michael Gonzi. A bibliographical index of Pisani's printed works compiled by the poet's son, Paul George Pisani, is being distributed to visitors. The exhibition, which remains open until April 17, is open Monday to Friday from 8 a.m. to 5 p.m. and on Saturdays and Sundays from 8 a.m. to 12 p.m. Entrance is free.